Nuclear Pharmacy seeks to improve and promote public health through the safe and effective use of radioactive drugs for diagnosis and therapy. Currently there are more than 400 BPS Board Certified Nuclear Pharmacists. The BPS Board Certified Nuclear Pharmacist (BCNP) program is a credential for pharmacists who have met the eligibility criteria below and who in their unique practice seek to improve and promote public health through the safe and effective use of radioactive drugs for diagnosis and therapy. Managing the procurement, compounding, quality control testing, dispensing, distribution, and monitoring of highly toxic radiopharmaceuticals used for PET scans and other diagnostic procedures. Preparing medications and troubleshooting problems with scans. Consulting on health and safety issues concerning radiopharmaceuticals as well as the use of non-radioactive drugs and patient care. Playing an important role in quality control and cost management by thoroughly testing products before delivery. Minimizing error and patient exposure to radiation. Identifying whether a patient is on any interfering medications. Completion of training/experience required for an authorized nuclear pharmacist as identified by the United States Nuclear Regulatory Commission (NRC) Regulations (10 CFR) § 35.55 Training for an authorized nuclear pharmacist*. Nuclear pharmacy practice: hour-for-hour credit in a licensed nuclear pharmacy or health care facility approved by state or federal agencies to handle radioactive materials, to a maximum of 4,000 hours. *Supporting documentation to satisfy completion of training/experience required for an authorized nuclear pharmacist is a current, active radioactive material program (RAM) license issued by the NRC or a state with NRC Agreement State status. Earning 100 hours of continuing education credit provided by the professional development programs offered by Purdue University. On January 2016, Purdue University College of Pharmacy assumed responsibility as the BPS Professional Development Provider for the recertification of Board Certified Nuclear Pharmacists (BCNP). Along with this new addition, BPS also announced an update in the continuing education requirement for recertification in Nuclear Pharmacy. Effective January 2016, all Board Certified Nuclear Pharmacists recertifying via continuing education will be required to earn 100 hours over the seven year certification period towards recertification in this specialty area. Please note, pharmacists who attained BCNP prior to January 2016, this requirement will not apply to your current certification cycle. Once you have completed the recertification process for your current cycle, your next cycle in this specialty will fall under these new guidelines and requirements. Therefore, you will be required to earn 100 hours of continuing education over the new seven year period in order to be eligible for recertification. You can download the approved Continuing Education Transition Plan for all and NEW and CURRENT Board Certified Nuclear Pharmacists by clicking here. More information on Purdue’s professional development program for BCNP recertification can be found here. A BCNP recertifying via CE is required to earn 100 hours over the seven-year certification period. There are no restrictions as to which lessons in which years may be used to obtain the required number of hours. At the time of recertification, the BCNP is also required to certify that (s)he is not currently under suspension by either the U.S. Nuclear Regulatory Commission or a State Radiation Control Organization. All candidates for recertification must have a current active license to practice pharmacy. 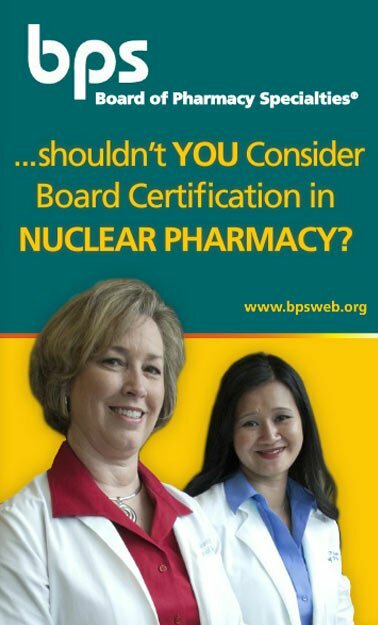 Board Certified Nuclear Pharmacists are also required to pay the BPS Annual Certification Maintenance fee of $125 each year for years one through six and a $400 recertification fee in year seven. Achieve a passing score on the BPS Nuclear Pharmacy Certification Examination. 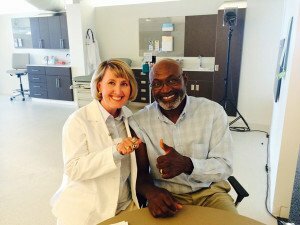 Completing 100 hours of continuing education provided by Purdue University’s Nuclear Pharmacy Programs. There are no restrictions as to which lessons in which years may be used to obtain the required number of hours. Any BCNP seeking recertification must have a current active license to practice pharmacy; and is required to certify that they are not currently under suspension by either the U.S. Nuclear Regulatory Commission or a State Radiation Control Organization. Board certification through the Board of Pharmacy Specialties® is the gold standard for determining which pharmacists are qualified to contribute at advanced practice levels. Through the rigorous examination standards mandated by the Board of Pharmacy Specialties®, the BPS board certified pharmacist is uniquely trained and educated to meet the continually expanding expectations of other healthcare team members and the specialized needs of the patients they serve.